The 60th session of the ACSFI will be held at the PwC Offices, Vancouver, on 7 May 2019. 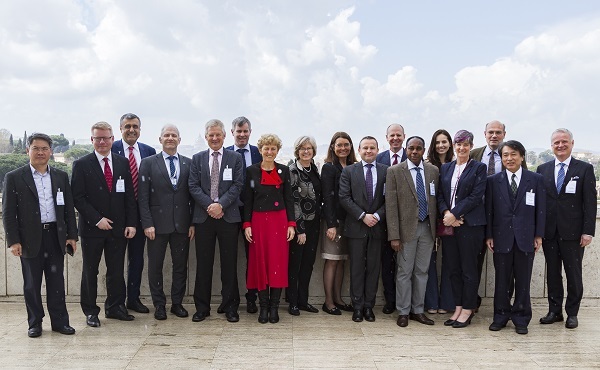 The 59th session of the ACSFI was held at FAO headquarters, Rome, on 5 April 2018. The FAO Advisory Committee on Sustainable Forest-based Industries (ACSFI) met in Berlin on 17 May for its 58th session, to provide guidance on FAO work relevant to the paper and forest products industry. The ACSFI is comprised of forestry experts from a wide range of countries covering all aspects of the forest industry. Those involved typically hold senior positions within their respective industries but participate in the committee as individuals. Topics under discussion at the meeting included bio-based food packaging in sustainable development, zero deforestation initiatives and their impacts on commodity supply chains, and the role of forests and forest products in achieving the Sustainable Development Goals.